At 'DroneClash' in Katwijk, the Netherlands, the drones are the fighters. The one-day event is being held in an old aircraft hangar, inside a specially-designed arena, made from a polycarbonate transparent material, the same used in police riot-shields. 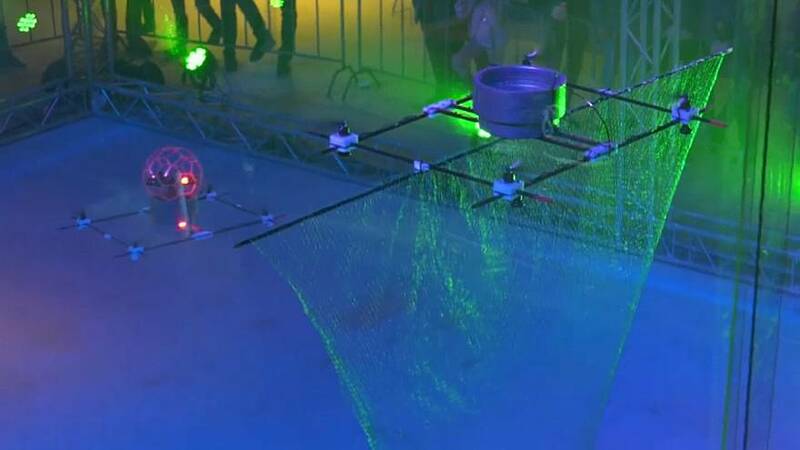 The goal: knockout the other team’s “queen drone” to win the €30,000 prize. You can fly as many drones as you want, but hacking an opponent’s is forbidden. In the final clash, between the Belgian and German teams, battery life was the deciding factor.